"The Puppies Turn One" Sponsorship! 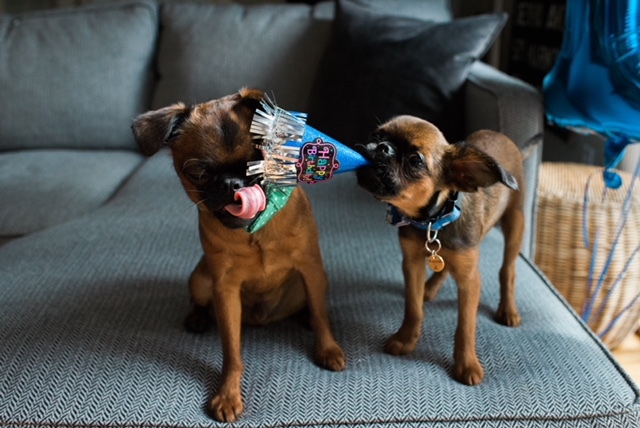 Who Doesn’t Love a Puppy Birthday Bash? Last week, we sponsored an awesome giveaway happening through Instagram, with dogs! 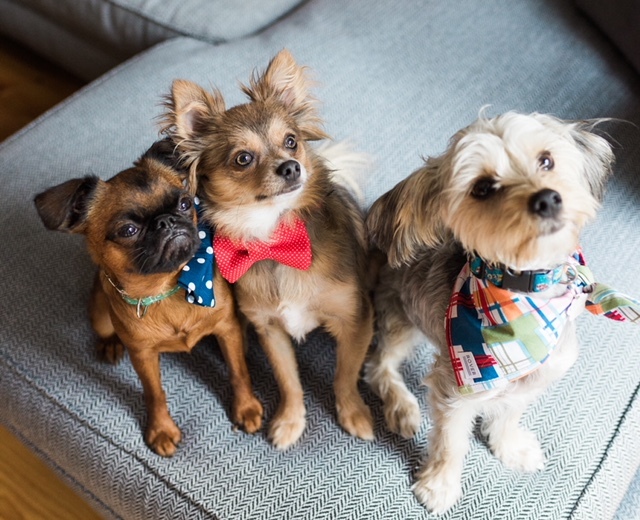 A Bow Tie Collar, A Bow Tie, Bandana, all donated by Rover Pet Boutique. Check out some of the photos below from the party! If there were tools that could make your business run, even a little bit easier, wouldn’t you want to know? Well the good news is, there is! With advancement in new technology and apps, you don’t have to hire designers, video editors etc. for the smaller tasks at hand. We decided to go through our management tools and decide what the top 4 tools that are crucial to building your business and brand to the next level, with no (or very little) money needed! You know what that means? YES. These are FREE tools that are waiting to be used! These are tools that help manage, increase productivity, help communicate, build your expertise and market in a simple easy-to-do way! Here’s a list of the top 4 business apps and tools that every industry should be using to grow their brand and business. It Never Hurts to To Take a Look Back at Your Strategy! Social media is constantly evolving. There are always new tweeks to social media platform and trends in content. It never hurts to look back at your strategy and see how you can update it with the most recent trends and types of content. Content Strategy is managing any type of written, visual, downloadable, (etc.) media that you create. It’s a part of your marketing plan (or at least it should be) that helps you build your brand online and your business. When creating a content strategy, you need to be managing and planning all of it with a purpose. 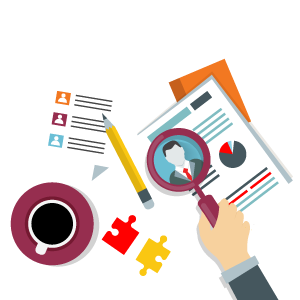 Having a Content Strategy helps your business prepare and plan for reliable and cost-effective sources of website traffic and new leads. If you can create just one blog post or post on social media that gets a steady amount of traffic, an embedded link to an ebook or free tool will continue generating leads for you as time goes on! Who Am I Creating Content For? What’s your target audience? Who are you really making your content for? Would my ideal customer relate to this? Would my ideal customer find value or entertainment in this? Would my ideal customer likely share this with their friends? What Platforms Will I Use For My Content? Posting on social media is critical to your brand's reach. Delivering your content to your customers where you know they spend their time is important. If you don’t know where they are, spend some time researching! Content Strategies are just as important now as they will be in month or years from now. You should always be looking at your Strategy to see how you can be improving! It's So Important To Keep Up With New Marketing Statistics! The world of marketing is constantly evolving. That's why we need to keep up-to-date with the latest research in your industry, or marketing channel, to stay ahead of your competition. Yet, it can often be difficult to find the marketing research you need to help with your social media strategy! To make it a little easier, here are some of the newest social media marketing statistics to use that will help you create a social media strategy for your business, and help it grow! Sign up with your email address to receive our weekly Social Media Insider Club newsletter, filled with events, tips, and new blogs and podcasts! What Is This Crazy Instagram Update Everyone Is Talking About? IGTV (Instagram Television) is Finally Here! Recently reaching over 1 Billion monthly active users, Instagram is well on it's way to becoming the king of social media. Forward-thinking businesses of all shapes and sizes have been taking advantage of Instagram for years, building an engaged audience, increasing sales, and generating unbelievable ROI. But that's not what we hear to talk about, we're here to talk about an exciting new feature that has just created a massive opportunity for businesses and brands everywhere. Instagram announced IGTV, a new platform for long format video content designed to be like social-media based television. In other words... It's Instagram's answer to YouTube! The Instagram co-founder and CEO, Kevin Systrom, as well as the IGTV product manager, Ashley Yuki, delivered the news onstage at a live-streamed event in San Francisco on Wednesday. As Instagram goes on about launching the new feature and app, people have been going CRAZY downloading the newest updates for the Instagram app as well as downloading the IGTV app. The launching of IGTV in San Francisco last Wednesday. What Are These Features People Are Talking About? IGTV (Instagram Television) like I said earlier, is a new platform that you can film longer videos on and is more designed as a social-media based television. The new feature is now available in the most recent version of the Instagram app and also as its own separate app! But first, let's really look into what IGTV is all about. A good way to look at IGTV is to think of it more as an Instagram “YouTube” in a way. Anyone can make their own channels and post longer-format videos like a YouTube channel. The great part about IGTV is that it integrates with the Instagram app. IGTV will not only be accessible within the Instagram app, but with a separate IGTV app which is now available on any app store. IGTV is like Instagram Stories. But with Instagram stories, your video cannot be longer than 15 seconds and disappear after 24 hours of it being posted, matching the Snapchat style (short videos only available for 24 hours). 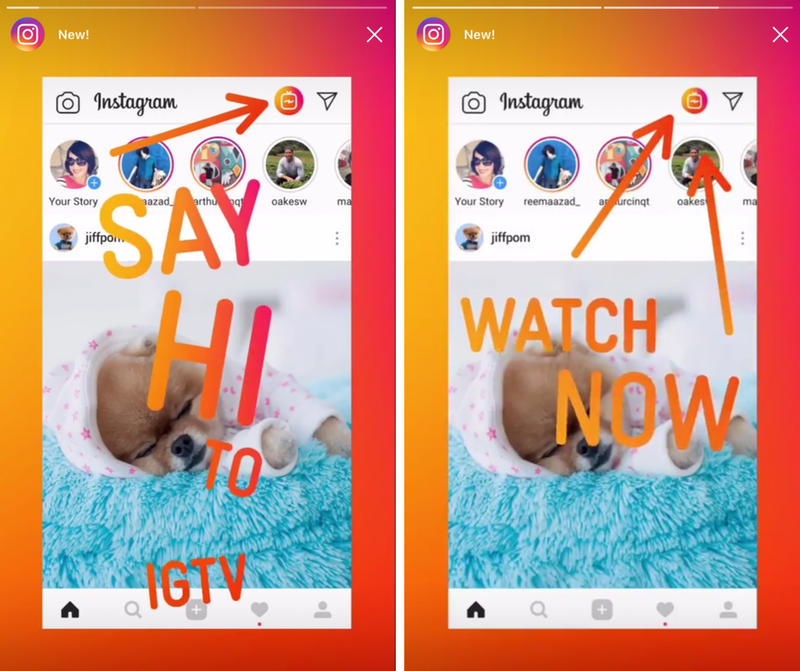 When a user opens the app, the IGTV video content of an account they already follow on Instagram will begin playing. In the original Instagram app, IGTV content will be able to be available right on an account’s profile page. But don’t worry, IGTV content will not be over-loading into your news feed. IGTV is in a separate section, in the top right of your newsfeed section (the little tv icon), not as part of a user’s feed. Where IGTV is located in the Instagram app. IGTV’s attempt to compete with YouTube as well as Snapchat Discovery seems up-and-coming. Everyone is jumping on IGTV. The YouTube community, influential Instagram users, and celebrities are now switching and/or posting onto IGTV. Instagram’s blog post states “There won’t be channels beyond individual user accounts, though. The creators are the channels.” The Creators with more followers will have the ability to make the hour-long videos right away, but average Instagram users will be capped at 10 minutes of content. Excited for IGTV? Let us know what you think in the comments below! Join Our Social Media Insider Club! You’ll receive our weekly newsletter complete with training videos from our CEO, our latest blog posts, exclusive event invites, behind the scenes content and so much more! Starting Your Business With Facebook? First, Get to Know the Difference Between A Facebook Page and a Profile! I’m pretty sure you know what Facebook is, and that you or someone you know has a Facebook account. If you don’t, now is the time to start one for your business! But the big question that most small business owners have trouble understanding is the difference between a Facebook Page and a Facebook Profile. It can be just be confusing when you’re getting started. Which one do you use for your business? This question is a simple one to answer since using a Facebook Profile for business is a violation of Facebook's Terms of Service. If you use a Facebook Profile to share content for profit or you are not using an individual’s name, Facebook can delete your account. However, you do need a personal account to create a Facebook Page for your business, or you can convert your Profile to a Page. But for the purpose of understanding the difference, here is a quick overview of the two accounts. Facebook Profiles are personal accounts on Facebook. When you sign up for a Facebook account, you are signing up for a personal account for yourself. This is where you add your family, friends and can communicate by sharing photos, videos, life updates and more on a personal level. Everyone who joins Facebook gets this personal profile where you only have one name. A Facebook Page is where you make your business account. A Page’s purpose is to represent an organization or a company where you can promote specials, contests, and updates about your business to your followers who have engaged with your page by “liking” it. Having a business Page also allows you to use Facebook advertisements as well as having no limit to the amount of Pages that you can manage. Why Should I Use a Facebook Page Over a Profile? Besides violating Facebook’s Terms of Service like I said a little about earlier, small businesses without a Facebook account is really missing out on a huge audience. Facebook gives you that communication to your customers about what is going on with the business like promotions, contests, or any other updates. Also, not having a page can give the idea that your business is out of touch with technology and social media. This can make people wonder if you’re really progressing as a business which ultimately can lead to losing the trust of your customers. People love feeling a part and being able to communicate with their favourite businesses! Facebook Pages allow small businesses to build a following faster than a Facebook Profile. Profiles make you send or accept “friend requests” before you even make a connection, whereas with a Page, people can follow or “like” your business without that barrier. Another reason to have a Facebook Page for your business over a Profile is that you receive access to insights (analytics) that you can track every day. This lets you track the positive and negative impacts and results from your social media. Think of your Facebook Page as a micro-site that you can use for commercial purposes and where you can directly engage with your customers! Social media is an amazing and powerful tool when businesses take the opportunity to use it. It helps them connect, engage, and establish trust with customers you already have, as well as potential ones, increasing brand awareness, website traffic and overall increasing sales. But what happens when something goes wrong with a customer? Negative comments can start popping up on your business’ Facebook page,Instagram page or Twitter feed. Though some social media managers can respond the wrong way, including ignoring comments, deleting comments, responding with a bad apology or worse, getting angry back at the customer. But really, the best and ONLY way you should manage negative comments made from a customer on your social media is to offer an apology AND a solution to their problem. The best way to do this is giving a ‘We hear your issue, and we will make it right immediately” approach. This is your opportunity to turn an unhappy customer into your business’ biggest fan! Responding to comments this way on social media lets people know the loyalty and respect to your business has for your customers. Usually, a person who is responding with negative comments already has some sense of loyalty to your business. Especially if they’ve already spent their money with you, “liked” your Facebook page, or followed you on social media. However, they’ve had an unpleasant experience. Usually they just want to know that they have been listened to and that you (your business) will make things right. Sometimes businesses forget that handling complaints on social media is the same as dealing with complaints in person. 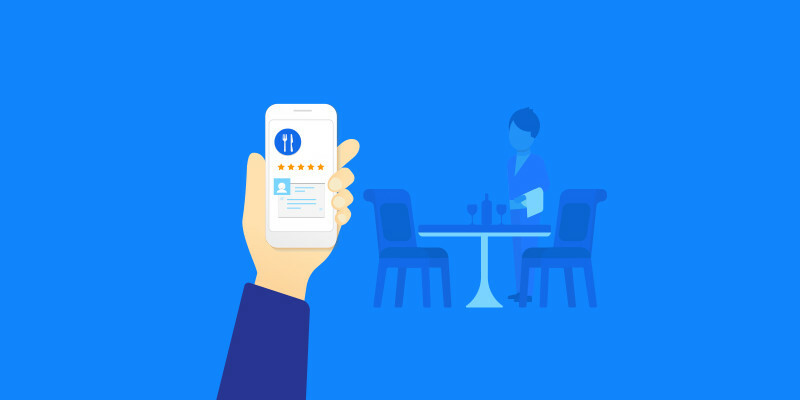 If a customer were standing in front of you with a complaint, you wouldn’t ignore them, walk away from them, or just apologize without giving them a solution to their problem. So why would that be acceptable to do on social media? The answer is, It’s not! When you deal with complaints the right way, unhappy customers will tell their friends how awesome your company is and what great customer service you gave. In the end, they’ll most likely encourage their friends and family to buy from you instead. Like I said earlier, social media is powerful, and is free marketing! Just remember that no matter how amazing your business is, mistakes happen, customers get upset and complain. With the growing of social media, they now expect to be able to speak about these complaints and get resolutions on social media. Next time you see a negative comment on or towards your business' social media, think of it as an opportunity to prove how awesome your company is! How do you think a business should deal with negative comments? Let us know your thoughts in the comments below! Does anyone put up flyers around their neighbourhood anymore with “Live Music: At the Club on Fifth Street” stapled to a wooden light post? Though it’s an all right way to promote small local events, your attendees can be reached and targeted much farther, and not to mention, less walking! Social media has changed promoting events into a more engaging and exciting time, long term. Using these tips will create a shift in your attendees interaction with your business events, making them want to be a part of your next big event! Engaging with your audience early on is important. Even if it is the most exciting event that your audience would ever go to, if they don’t know that it is happening, then they won’t be there. Use your social media to promote what, when and where your event is happening and direct is at the right audience for your event. If your business is creating a workshop event for learning to cook, you will want to target most likely women, mothers or parents on Instagram and Facebook. Engage with your audience. Let them know that there is an event coming up that they might be interested in. This can include following, liking, and messaging these people and showing what event your business is offering. A great way for people to know and follow you and your event, is to create one unique hashtag to put in every post that has to do with your event. Just like engaging with your audience, it is important that you want to make sure you’re promoting your event where your audience is. When the time gets closer and closer to your event, a good way to excite your attendees is to give a little “sneak peak” into what your event is going to offer people. Include what they can expect from this event, special guests, teaser photos or (if you have one) a surprise that only the attendees will get. A great way to add to the excitement of an event, is to post a countdown of days until the event. Everyday, make a post of how many days are left until the event, creating scarcity. This makes people think that they need to get their ticket now or they will run out of time. If you have special guests coming, ask them to contribute to your social media. If they make a post about the upcoming event, share it! Show your audience that others are looking forward to the event as well. Invite others to share as well, before and after the event. Watch your hashtag for people posting about the event. Make sure to like, comment, or share them to make them feel that they weren't just there, they were apart of your event! Now we’re talking about on-site experience. This is where social media can really add impact and get people talking after the event. Remember that unique hashtag you’re going to use for your event? Remember to tell people to use it when posting about the event. This is a great way to monitor how your event went and see shared photos from people that attended. The people that didn’t attend, can see how your event turned out, and may come to the next one! Don’t forget to grab your own media during the event. Use Facebook Live to capture key moments at the event to engage those who did not attend. Also create content that you can use for your next event. At the End of Your Event, Grow. Take the content from the event, and spread it as widely as possible onto all of your social media platforms. Like I said earlier, your goal is to get the people that didn’t attend this year to see that content and want to go the next year. Share details from the event, rewarding people who attended. If there was a prize involved, share a congratulations post including the name and a photo of that person at the event. Always invite attendees to share their best quote or photo from the event with the event hashtag. This also is a great way to promote the event and encourage them to attend upcoming events. Looking For More Engagement on Your Social Media? Here Are 2 of the Best Social Media Contests That Work! Contests are proven motivators. Running contests on your social media can help you grow your followers, likes, interaction, engagement, and build email lists in a short period of time with little effort. According to research, social media accounts that hold Instagram contests grow their followers 70% faster over three months on average, than accounts that don’t. That’s a big deal. If you’re not running at least one or more of these contests on your business’ social media, you are a part of that 30% not growing and engaging with your potential followers. So, we decided to give you three of the best contests that you can run to boost your social media for your business. People LOVE free stuff. One of the best ways to run a social media contest is to give away a prize or product to one of your followers on one of your social media platforms. The best platforms to use or this contest is either Facebook or Instagram and run the contest at random because it’s where people are most interactive. When posting this contest on your social media, the most successful way to get people engaged with your social media is to make specific rules for your contest. You can also run variations of these posts. Other examples of is doing this includes “12 day giveaways”, “Repost this photo and tag us” types of giveaways. Giveaway contests are great for generating more followers, likes on your posts, and creating more engagement on your social media resulting in more leads. This contest can be both a long term or short term challenge, but is slightly more work than just doing a giveaway. A great thing about challenges is that your followers can participate in them and feel connected or a part of your brand/business. The most important part of this contest is to think about how you can offer people ways, even small, to achieve success. What problem can you solve in their lives that this challenge can help solve and will result in moving them closer to buying your product? This challenge should be to inspire your followers to take part of this challenge for self-fulfillment. To let people find what your doing on social media, hashtag your challenge on every post. On her website, people can sign up for the #FitforHawaii challenge to receive weekly emails of ways to win at that challenge and weekly motivation. During the month of June, Jenny posts updates or motivation to continue and not give up and do a draw from the participants to win the trip. By creating this, Jenny’s gains more followers, likes, builds an email list, testimonials, Jenny is promoting and providing a place for the participants to come and complete their challenge. Most importantly, have fun with it! Creating great content that people actually engage with is crucial to marketing your business on social media. By the way, when we say “content” we are referring to the actual creative posts you share on social media. That could take the form of a photo, video, or just a long format copy (text) post on Facebook or LinkedIn for example. High quality content will help you get your brand in front of more potential customers, encourage people to follow you, and most importantly share your posts with friends and coworkers. But more important then all of that, is the fact that content is how you connect with your audience. Your content is a representation of your brand, it can influence purchase decisions, increase the perceived value of your product/service, and massively impact revenue as a long term branding solution. You want to be the business that stays top of mind, that your audience follows and looks forward to seeing each and every post! Your photos, videos or graphics should be as high quality and professional as possible. Social media content should not be blurry, over-coloured, or overloaded with test and/or other images. The description of your post is where you say everything you want to say, this is the place for text, not the actual image itself. There are always exceptions, but this is a good rule of thumb to start with. Like we just discussed, all of your pictures and video content should be high-quality. Although having a professional camera to capture images for your posts is easier, it does not mean you need to go out and buy an expensive camera. 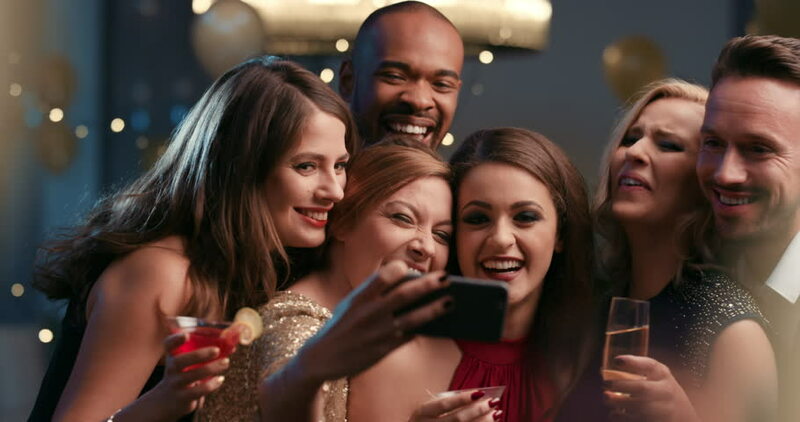 A cheaper option is using your mobile device to take photos and videos by using tools like IMovie and Photoshop, as well as other apps such as Canva, to brighten and edit your photos to make them look more professional. You want to have content that people can clearly see and understand that makes them want to see more. Posting one post a week at 11pm every week or whenever you have time will NOT get you the results you want for your business. Try to consider the daily behaviour of your ideal customer. If your targeting college students, they’re likely taking the bus or other transit between 7-9am and likely browsing their mobile phones. This would be a great time to reach them! You should be posting your content should be at least 3-5 times a week on every social media platform relevant to your brand to maintain relevance. Different people engage with different platforms, leaving one out could mean the loss of an entire customer base. Be consistent across as many as possible! Without consistency, you will start seeing less followers, less likes, and overall less traffic for your business. Though many people think that hashtags do not work, they do! In fact they are absolutely essential to getting your content noticed outside of your existing network. For example #Lamborghini would put your post in front of anyone on the platform searching for Lamborghinis'. Putting niche hashtags that match your business and what content you are sharing is a great way for people to find you! Such as #toronto. A mistake that most businesses make is that after they create great content and post it, they don’t engage with their audience. You should be liking, commenting, and responding (all positively) on your audiences posts. This let’s people know that a real human is behind the content and the brand and every time you engage with a comment or a post your name will show up in their notifications. This will make them want to see who liked or commented on their post. Planning, creating, scheduling, and posting content can feel like a full time job. If you’re posting 3-5 times per week most people struggle to find the time. Luckily, you don’t have to create and post content minute by minute as you need it, you can actually schedule it ahead of time. When you have a variety of different social media platforms to post on, it makes it easier to schedule your content to be posted automatically, when you want them to be posted. Some great content schedulers that will help you to post your amazing finished content are Hootsuite, Buffer, Sprout Social, Tailwind, and more. All of these are available on an app as well that you can download easily from your IPhone or Android so that you can create and schedule posts when it is convenient for you. All that it is great, but if you’re feeling a little bit of information overload there’s only one thing you need to remember. Before creating or sharing any piece of content, remember you’re creating content for real people. Every post needs to add value to someone’s live in one way or another. Sometimes that means nothing more than simply making them smile for second or two. Always put yourself in your customer's shoes and ask yourself, would I like this, would I engage with it, and would I share it. If the answer is no, start over.